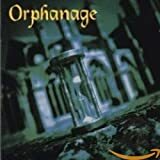 ORPHANAGE DEAL WITH THE REAL LYRICS"
Say farewell. The world is at it's end. Marching to the gates. The bloody skies descend. On your knees. The hope for massive help. Face what you have. This is all you can take. Face what you see. Help yourself. Face what we've caused in this world full of hate. Face what to do. You can't trade place. I have dreams of knowledge unrestrained. To feed our hungry minds. To perfect our lazy brains. Will they dare to co-operate with us? Is there anything for them? Enough for them to gain? Save us from the violence. From the warfare. From the pain. Now we can't find the ways to save our own world to keep it sane. In your house will I find the strength I need? Whisper the name of Father and Son. Where's the reason? For whom did you bleed? After your dying day it began. Hear us cry your God and mine. No more time. No question why. No more peace inside my mind. One more step. First say goodbye. Dare to take one step behind. Heal your pain. Take up your Faith. Once you make. Believe yourself. Everyone shares it with you. We can't find the ways to save our own world to keep it sane. All Orphanage - Deal With The Real lyrics are property and © copyright of their respective owners. All Deal With The Real lyrics provided for educational purposes only.